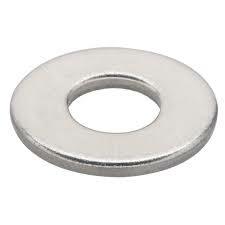 Due to the availability in different shapes and sizes, our Stainless Steel Washers are widely used in different industrial as well as domestic fields. Spire Industrial Equipments Co. is one of the prominent spring washer manufacturers, located in India. We strictly use top quality raw material in the entire manufacturing process which is procured from top quality raw material. Plain Washer, Plain Big Od Washer, Plain Small Od Washer, Spring Lock Washer, Spring Washer Heavy Duty, Tooth Washer, Serrated Star Washr, Tab Washer with One Tab, Tab Washer with Two Tab.